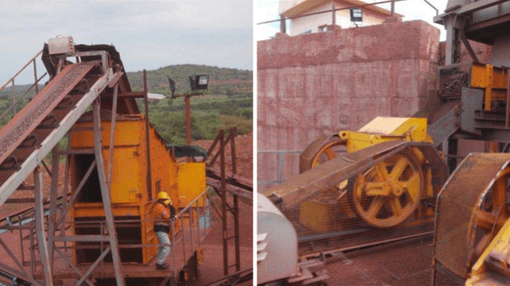 NSL Consolidated Limited (ASX: NSL) has finalised its first sales agreement for iron ore in India. NSL will receive $230,000 AUD, ex mine gate, for the sale of 5,000 tonnes of iron ore at +45% Fe purity. The news coincides with a favourable backdrop in India’s domestic iron ore industry, with domestic demand for steel tipped to increase 3.4% in 2014 to 76.2 million tonnes (Mt), while domestic iron ore supply is expected to experience a shortfall of 10 Mt – 15 Mt due to mine closures in several Indian states causing declines in production. The re-opening of these mines remain uncertain. NSL, currently with a market cap of approximately $7M AUD, targets iron ore in the Indian state of Andhra Pradesh. Projects Kuja, AP23 and Mangal are located in the Kurnool district of Andhra Pradesh. The AP14 magnetite project is situated in the Karimnagar district of Telangana (Andhra Pradesh). More sales with other buyers are currently being negotiated, targeting 50%-55% Fe purity, an iron ore grade that NSL believes will continue to show robust demand. NSL believes that if the sale of +45% Fe continues at current levels, it may be able to exceed planned production and plant yield by utilising the sale proceeds. Current estimates by NSL target the production of 7000 t per month of saleable iron ore.
NSL is gearing up for more sales volume over the next six months. Its dry beneficiation plant currently produces approximately 50% Fe grade product for local sale in anticipation for the future. The 7000t per month target of saleable product currently would be revised upwards as a result of increased interest from additional buyers. The dry beneficiation plant at NSL’s stockyard in the Kurnool district of Andhra Pradesh restarted in early September. The stockyard currently produces 52% Fe product from 28% ROM feed (run-of-mine: raw material from the mine for processing). Current production levels translate to a production cost of $28 AUD per tonne. Third party use of NSL’s plant and facilities can potentially increase production significantly at the stockyard. NSL has identified third party mines within close distance to its beneficiation plant that it can process material from. ROM material from third party mines is currently being transported to NSL’s stockyard for processing, whilst awaiting Government issued royalty passes. India is currently in the grips of an iron ore supply shortage due to mining restrictions and mine closures in several states. While India is traditionally a major iron ore exporter, ranking third globally in recent years, the current supply shortage has meant that India has become a net importer of iron ore, with NSL the only foreign owner operator of iron ore mines in India. Iron ore production in India has been on a steady decline in recent years. Data from Espirito Santo Investment Bank shows that production in India has declined from 218.5 Mt in 2010 to a low of 135.8 Mt in 2013. The political landscape in India has been favourable to NSL. The crackdown on illegal mines were one of the reasons behind the closure of 26 mines in Karnataka and Goa. Mine closures have also occurred in other states. Additionally, NSL has received government support at its AP14 project to fast track mining targets as they come to light. On the demand side, India is set to increase demand in 2014 and 2015 on the back of pro-business reforms by the incoming government. According to the World Steel Association, ‘India’s outlook is improving following the election of a new government which is promising pro-business reforms.’ It further added that demand in 2015 would be even higher than 2014 with conditions favouring 6% growth. NSL believes the Indian steel industry is anticipated to triple over the next ten years. On a global scale, the iron ore price has been on the decline since 2011, when it hit a high of $184 per tonne compared to the current price in the mid $70s. The decline in demand from China as well as global oversupply are placing downward pressure on the metal. The iron ore bear market precipitated from global oversupply by mining giants Rio Tinto, BHP and Vale. In contrast, the domestic Indian iron ore price is much higher than the imported price. Domestic producers of iron ore earn $56 AUD per tonne of 50% Fe product, which is a substantial premium to the international imported price. Such has been the high demand for iron ore in India that the relatively higher Indian iron ore price has not stopped NMDC, a state owned iron ore producer, from experiencing 23% sales growth year on year in August 2014.